So far, most data centers have virtualized their least-critical workloads as a matter of basic cost containment. Virtualizing mission-critical applications is still forthcoming for the majority,though, largely due to infrastructural concerns. Complicating matters is the shift in IT purchasing decisions from IT to business management. Integrated Computing Platforms (ICPs), private cloud computing, and public cloud services all leverage virtualization to achieve a number of IT and business goals, including increased ROI, reduced OpEx, and business process improvement. Now more than ever, it makes sense to explore the benefits of ICPs. 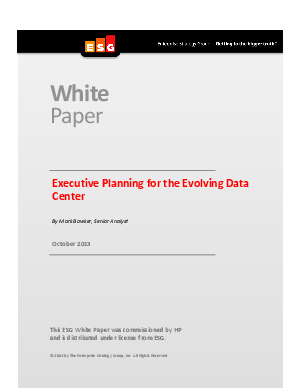 Find expert data center considerations here.